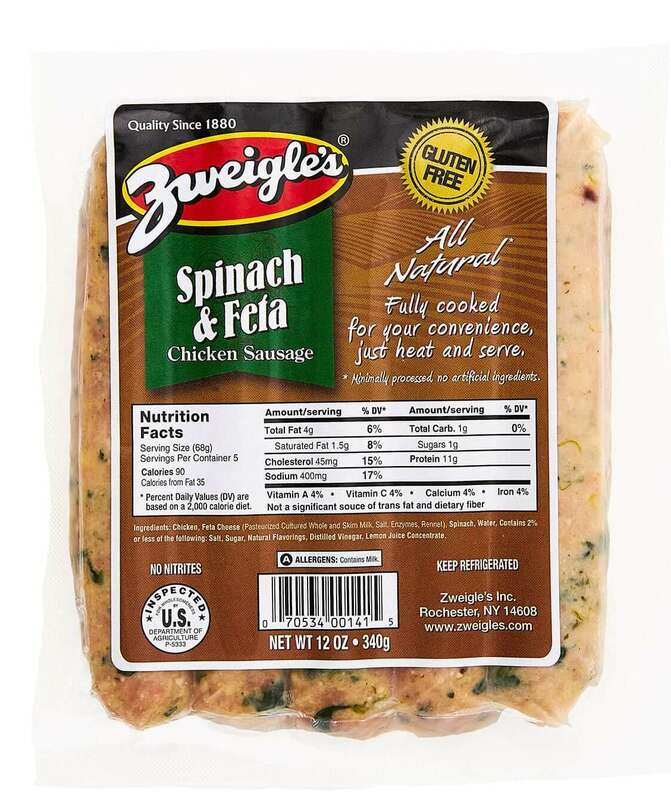 Here at Zweigle’s, we’re all about protein. It’s not just because we’re in the business of producing great tasting hot dogs and sausages though — protein is an essential component of a balanced diet! If you love protein like we do, then you’re sure to enjoy our most recent Zweigle’s original recipe: our Protein Packed Pasta Dinner. Check it out below, and learn how to bring this easy and delicious meal to your own table! Cut spinach & feta chicken sausages into bite-sized pieces, and add to pan with olive oil and mushrooms. Cook, stirring occasionally, until mushrooms are softened. Add chicken stock to pot, and wait for it to boil. Add pasta and cook as normal. 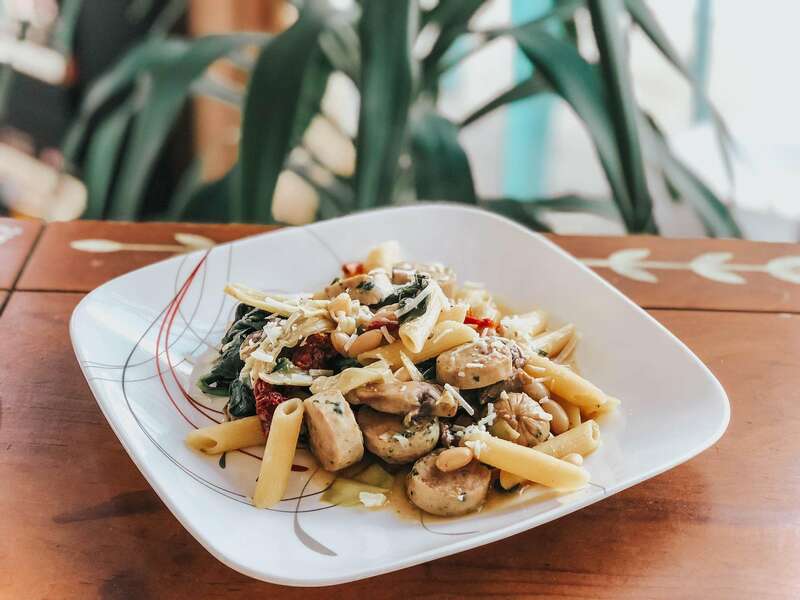 Cut sundried tomatoes into bite-sized chunks, and add to pan with chicken sausage and mushrooms. Also add great northern beans, artichoke hearts, and fresh spinach. Once spinach has wilted and pasta is cooked to your liking, use a ladle to transfer pasta to the pan with the vegetables and sausage. Don't worry if some broth makes its way into the pan, as it adds extra flavor! Allow to simmer for a few minutes and serve. Top with parmesan cheese if desired.